Inmates serving time in Texas prisons and state jails can buy certain “free world” goods provided that people outside unit walls send them money. During the last fiscal year, they spent about $95 million at prison commissaries. The most popular items? 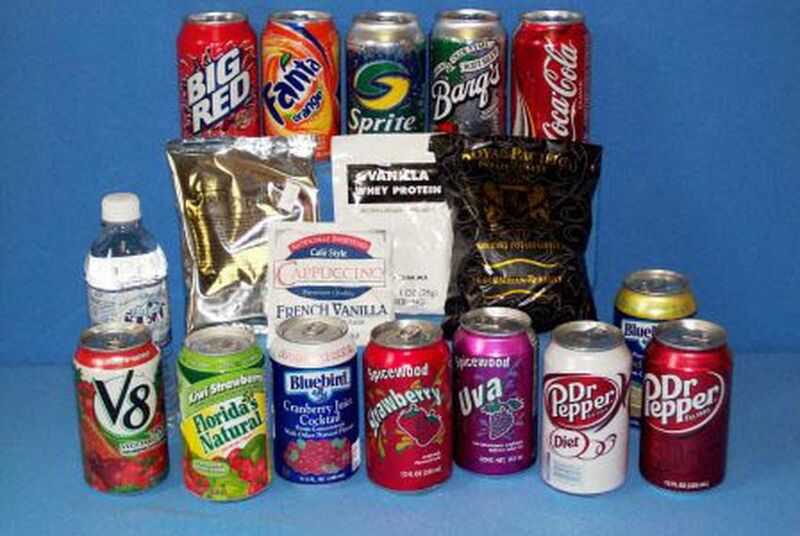 Instant soup, stamps and soft drinks, according to data obtained under the Texas Public Information Act. Inmates serving time in Texas prisons can buy certain “free world” goods — snacks, clothes, even cosmetics — provided that people outside unit walls send them the money. It’s a bustling business. During the last fiscal year, inmates spent about $95 million at prison markets, known as commissaries. The most popular purchases? Instant soup, stamps and soft drinks, prison records show. The sales data, obtained under the Texas Public Information Act, offer a glimpse of life inside prison, where the state’s 160,000 inmates receive institutionally prepared meals but often prefer to supplement their diets with common items outsiders might take for granted. The inmates bought $18 million in “chips and snacks,” as the department categorizes them, during fiscal year 2009. They spent another $15 million on “assorted drinks,” including 3.5 million cans of Coca-Cola. Ramen noodles are a staple. The prison system sold a whopping 33 million 25-cent packages during that period. The cost: $8.3 million. The stores keep inmates connected to their families and friends. Inmates spent more than $6 million to buy 13 million stamps or pre-stamped envelopes last year. (They also purchased 60,000 Mother's Day and Father's Day cards). As at any business, the items are sold at a markup, with the profit margin varying, though stamps are sold at wholesale prices. On average, the markup is just under 30 percent, netting the prison system about $30 million in 2009. Prison officials use the revenue from the purchases to keep the sprawling operation running. The profits, they say, fund inmate education and recreation, television equipment and the prison newspaper, The Echo. Some inmates, not unlike shoppers at a convenience store, complain about the costs. Fenner said the commissary system gives parents the option to continue supporting their incarcerated loved ones even if they can’t always visit them. Her son is serving a 45-year sentence inside a unit that’s 140 miles from her home. She sends commissary money for creature comforts but also so that her son can purchase wood to build guitars in a craft shop. There’s a certain status that comes from the ability to spend at the commissary, and not all inmates get the privilege, which can be taken away for bad behavior. Many inmates also just can’t afford it. Their funds are kept in individual accounts — they aren't permitted to carry cash — so purchases are made electronically. About half of those accounts, prison officials say, carry balances of less than $5. For those inmates who are classified as “indigent,” the prison provides only writing materials, stamps, and basic hygiene supplies. The ability to buy a name-brand soap or deodorant in an environment, for example, where many inmates endure Texas summers without air conditioning, is treasured, those who know the system say. Robert Mudd, a former inmate who spent 30 years in and out of prisons on drug-related offenses, says life without commissary “would be very difficult.” “The food in there is horrible,” he said. And though the food may not be ideal — it is a prison after all — others believe inmates aren’t getting enough, so they must dine on commissary fare. "It's the fact that TDCJ feeds the inmates kind of minimally, and they are supplementing their diets," says Scott Henson, a public policy researcher who authors the criminal justice blog Grits for Breakfast. Prison officials counter that they give the inmates a proper number of calories per day and that the bulk of commissary purchases are luxuries: sodas, candy bars, ice cream and the like. “It was never designed as a supplemental food program,” says Michelle Lyons, the department’s chief spokeswoman.